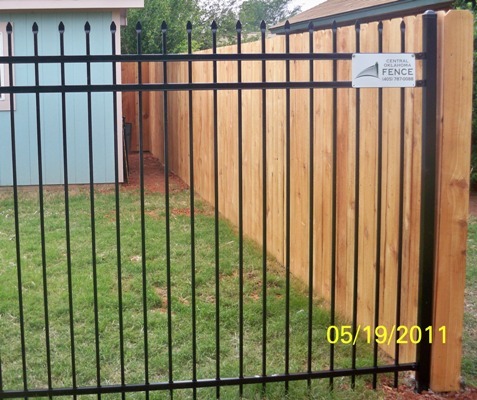 Pool fencing is a serious concern among pool owners living in the Oklahoma City metro area. Especially in places where it is required by law. Pool fences provide a great deal of security and privacy for the home owners. There are a lot of reasons why you should consider using ornamental iron fences to protect your pool or pets. You will feel secured because you can prevent mishaps and accidents from happening by installing ornamental iron fences in your backyard. Your kids or neighbor's kids cannot enter your pool without your knowledge and you know your pets cannot go astray around the neighborhood. 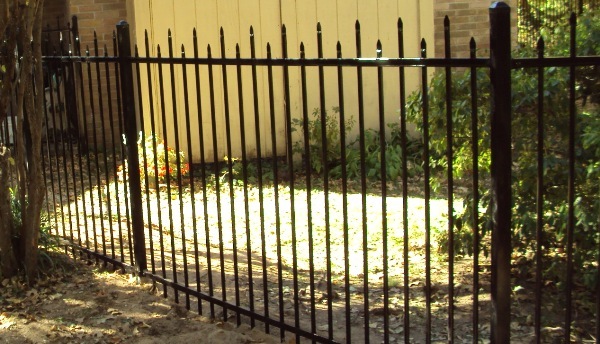 Ornamental iron fences are mostly made of galvanized coated steel with stainless steel. This makes your fences durable and it even prevents rust from forming. This is very helpful especially if you plan to install your fence around your pool which makes it vulnerable for rust formation. Ornamental iron fences are low maintenance. You do not have to check your fences every day for rust as most of the ornamental iron fences in the market are manufactured rust-free. Ornamental iron fences are very affordable when compared to other types of fencing which won't last half as long or be as low maintenance as most other fence options. There are countless designs that you can choose from when installing ornamental iron fences in your backyard. Arrow Fence & Shelter buys direct from several manufacturers, including Ameristar, Iron World, Beta Fence, and others. Having access to several manufacturers in turn gives you more options when it comes to styles, colors, and pricing. These are just some of the many reasons as to why you should consider ornamental iron fences for your pool or pets. 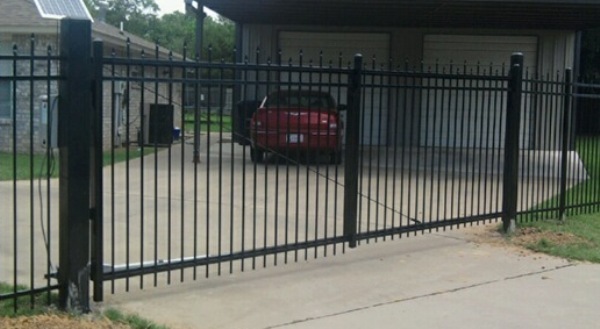 For more information regarding ornamental iron fences, you can always call us at (405)787-0088. 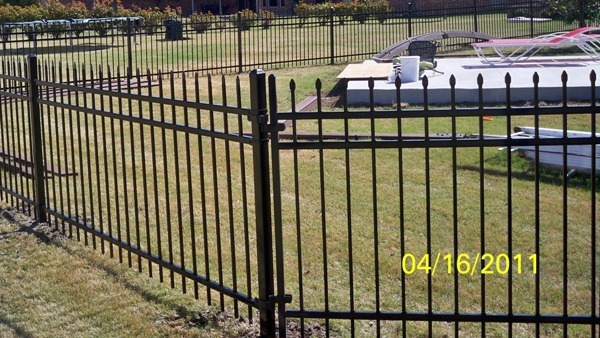 Or request a free estimate on a ornamental iron fence for your home. 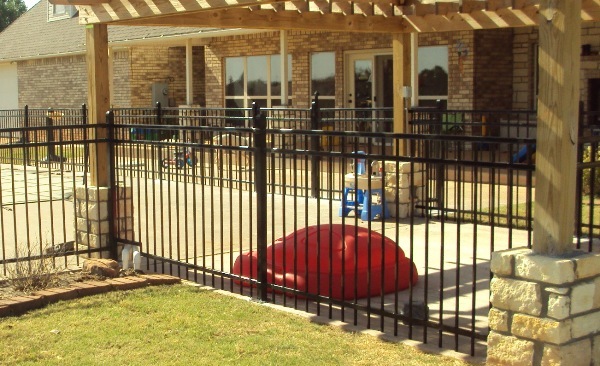 We provide Ornamental Iron Fence, Decorative Iron Fence, Decorative Aluminum Fence, Wrought Iron Fence and Ornamental Metal Fences to all of Central Oklahoma, including Oklahoma City, Norman, Moore, Edmond, Mustang, Yukon, Midwest City, Del City, and others. 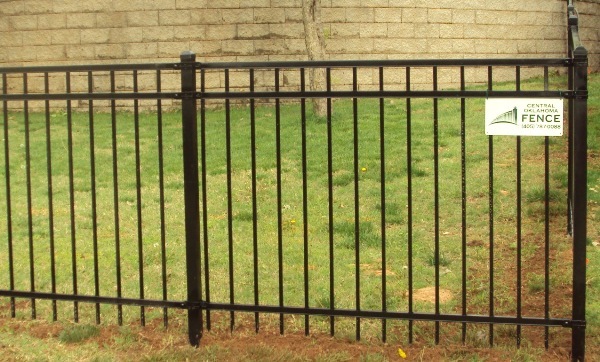 Ameristar Ornamental Iron Fences are the most popular brand of ornamental iron fences in the world and they are made right here in Oklahoma. Click to find out what makes Ameristar Ornamental Iron fences and gates such a popular choice and why we install so many of them. 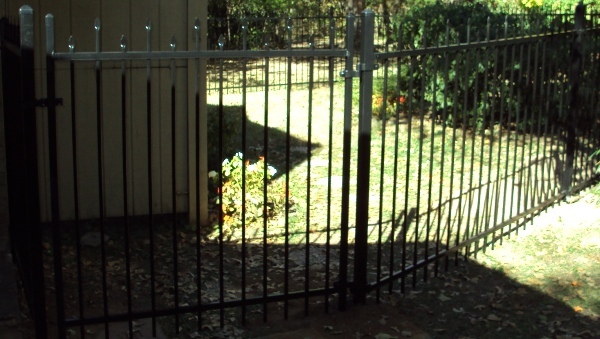 We also supply and install the complete line of Fortress Ornamental Iron fences and gates. Fortress makes many styles and sizes to choose from without sacrificing on quality. 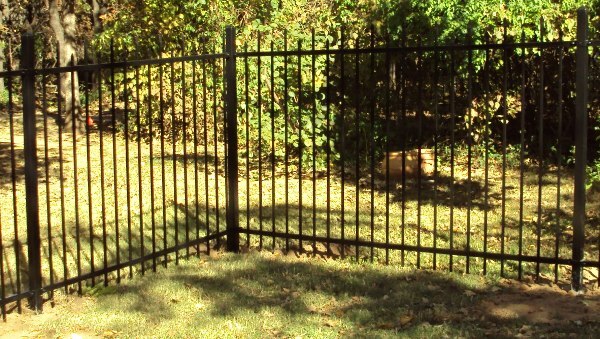 Click to learn more about Fortress Ornamental Iron Fences and Gates. If you are looking for a more secure and stronger ornamental iron fence, check out our commercial and industrial quality ornamental iron fences and gates. We supply and install over a hundred different makes and models of operators, including names like Apollo, Door King, Elite, Hi-Security, US Automatic, Viking, and more. No matter if you already have electricity there or you need a solar powered operator. Arrow Fence & Shelter has the operator for you. Brick or stone columns can make a nice ornamental iron fence an absolutely great looking ornamental fence. We can usually match the brick on your house to make your entire landscape flow together.